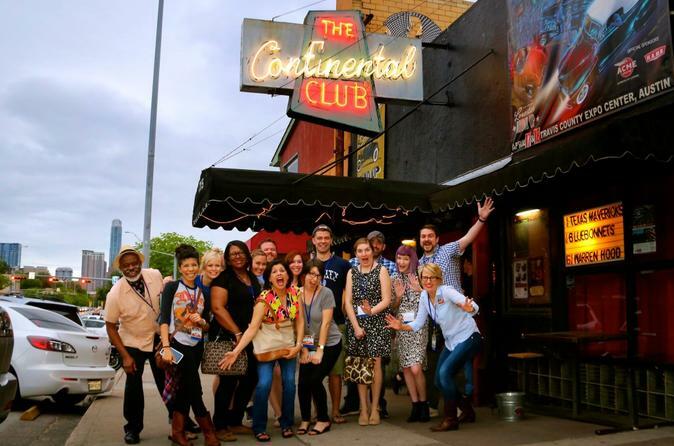 Throughout the course of the Live Music Crawl, you’ll hear about Austin's live music history, get the latest scoop on the current music scene and see iconic venues and new clubs, all while getting an overview of the city. Our live music tours are led by a local musician and you'll get around town in a Mercedes Sprinter van. Get out of downtown and see the real Austin. The duration of this tour is roughly three hours. During that time frame, you'll visit 2-3 venues and still be home by 10 or 11pm. This tour simply rocks. If you enjoy fun people, live music, and learning about the city of Austin, this is the tour for you. Please check in with the Austin Detours tour guide in front of the concierge desk of the Hilton Hotel, located at 500 E. 4th St.